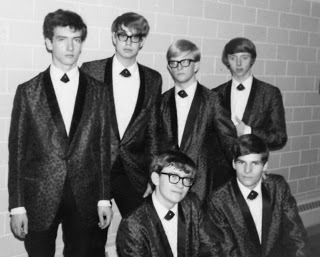 The Dynamic Hursmen were considered one of the top mid sixties Sioux Falls Bands. The original six members came from both Washington and Lincoln High School . The played at local school dances as well as at some of the most popular ballrooms and dance halls in the area. Not long after establishing themselves as one of the local favorites the group decided to cut a 45 record. The recorded at IGL Studio in Milford, Iowa producing Love is a Beautiful Thing/You Tell me Why. Their music was played on local radio stations and charted on the local "Top 40" list.